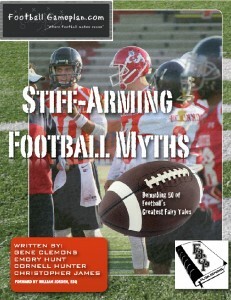 The staff at Football Gameplan takes a look at 50 of the biggest myths in football from “NFL Players Should Take Hometown Discount” to “Home Field Advantage Makes a Difference” and debunks them with cold-hard facts and truths. 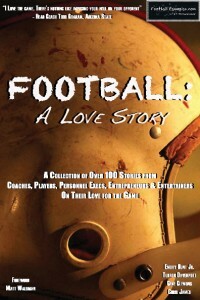 Football: A Love Story is a collection of stories from current and former football coaches, players, entertainers, personnel executives and entrepreneurs on their love for the game. Over 100 stories from some of the biggest names in the sport. Stories from Mike Singletary, Ed Reed, John Harbaugh, Carl Banks and many more! Find out why they do what they do, and why football means so much to them. What Did Football Teach Me is s collection of stories from current and former football coaches, players, entertainers, personnel executives and entrepreneurs on their love for the game. Over 100 stories from some of the biggest names in the sport. 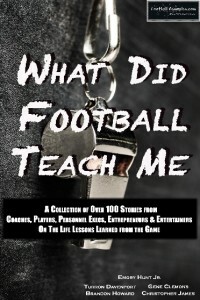 Stories from Mike Singletary, Ed Reed, John Harbaugh, Carl Banks and many more! Find out what are some of the biggest life lessons they’ve learned from the game of football! Get Both Football: A Love Story and What Did Football Teach Me for one low price of $30! Get your hands on the BEST trash-talking shirt in the business!